It’s become an all too common sight when visiting the streets of Katipunan. It’s a weekday, just three hours removed out of class and Kai Sotto finds himself outside one of the two Samgyupsalamat branches in front of the Ateneo campus. For others, it was difficult not to spot Kai, even when he sits down. But for Kai, it wasn’t difficult to spot Samgyupsalamat, despite the variety of restaurants surrounding the area. Nagustuhan is an understatement. Kevin Alas of the NLEX Road Warriors has jokingly called Kai the Samgyup master. In fact, there’s an endless stream of Instagram stories of Kai eating Samgyup along with Forthsky Padrigao, other teammates, as well as his family. There’s a harsh reality even the best of us have to face: you need to line up and wait for your turn before you get some of that Samgyup goodness. It can be an exhausting process for many. But falling in line has something Kai’s become used to. That goes beyond Korean BBQ. It was May of 2016 when Kai first introduced himself. 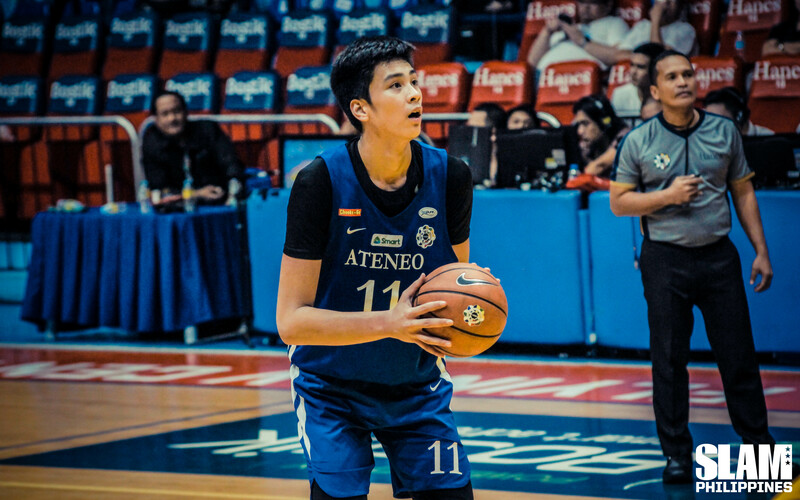 It was his debut game with the Ateneo Blue Eaglets in the FilOil Flying V Preseason tournament, and there was some form of excitement that could be felt around the air. The reason? Simple. He was a 6’9″ 14-year-old finally playing against the best high schoolers in the country. 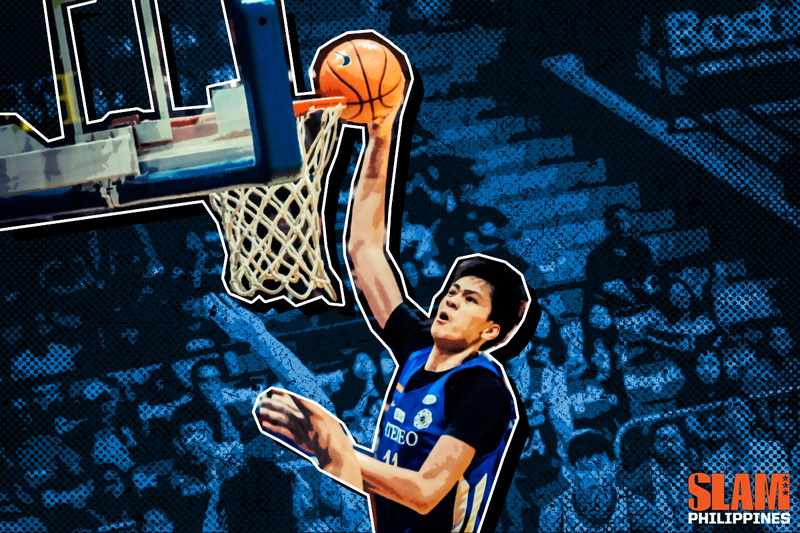 He was going up against the multi-titled San Beda Red Cubs of all teams for his debut. Not much was really expected, but the fact that a kid this young and this big was in the biggest stage of High School hoops was already worthy of attention. Being tall may have been enough to get people to watch you, but it did not mean playing time and touches in an instant. In a way, Kai needed to go to the back of the line and wait his turn before he got any form of significant burn for the Blue Eaglets. During the first round of Season 79, he barely got any minutes because he needed to catch up with academics. Even during his breakout run in the second round and the Final Four, it was clear he wasn’t close to being a primary option for the Blue Eaglets. Even during Season 80, with a year of experience and having adjusted to the academic load in Ateneo, Kai wasn’t in front of the line just yet. “Hindi ako yung talagang first option sa offense dahil meron kami mga talented na scorers like Dave Ildefonso and SJ Belangel,” admitted Kai. There would be spurts during Season 80 when Kai would be asked to initiate things for Ateneo, but that wasn’t his role. He was seven feet tall, with length for days. It wasn’t difficult to determine what his role was to be that season. “His job was to clean up whatever misses our creators had. His main role was to anchor our defense,” said Season 80 assistant coach, and current head Blue Eaglets head coach Reggie Varilla. It wasn’t the prettiest of roles to embrace, but Kai was more than willing to do it anyway. It was worth it, as he picked up a Mythical Five award in the process, while also leading the Blue Eaglets to their first championship since Season 77. Even with all the big names on the team, it was Kai that made his mark late last season. “We always felt that Kai’s potential was high up there but the Season 80 finals gave us a glimpse of how much impact Kai can bring into the table,” said Coach Reggie. If there was a game to capture this potential, it was Game 1 of those Finals. 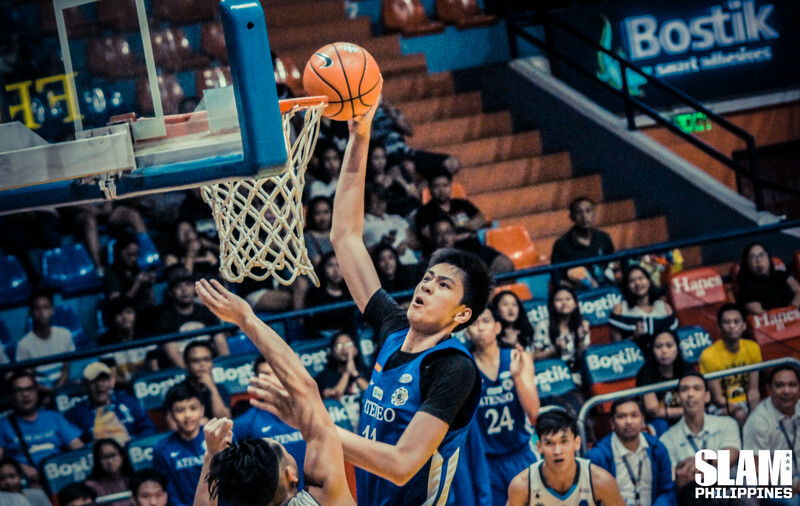 In absolutely dominant fashion, Sotto transformed from Kai to Kaiju, putting up 22 points, 16 rebounds, and 11 blocks to lead the Blue Eaglets. He still embraced his role of anchoring the defense, but he was starting to do more. From taking bigger responsibility in the offensive end, to straight up barking out instructions to the Blue Eaglets point guard, Kai looked like he was ready to take the next step in his evolution as a basketball player. One championship and one Finals MVP-worthy performance was just a preview of things. He was ready for more. Kai was finally next in line. The usual pegs for Kai was either Kevin Durant or Kristaps Porzingis. The Davis comp was new, but it made sense with the situation of the Blue Eaglets moving forward. Using the Brow as a model for Kai made sense. That meant being willing to be the center piece of an offense more, while also stretching out the opponent’s defense to the perimeter. This was a new stage in Kai’s development, filled with plenty of promise. It wasn’t to be easy, however. “I also warned him that we will have to work on his ball-handling and shooting, as well as his agility, for that idea to be successful. Otherwise, both of us will just look like ambitious fools,” explained Kai’s coach. Kai’s explicitly said playing wing is a dream of his. Making a transition to the power forward position was not just ambition for Kai, it was necessary. “Lucky for me, Kai is a self-motivated player and embraced his new role to the hilt,” said Coach Reggie. There were multiple opportunities for Kai to get used to being the guy of his team’s offense. It started during the FIBA Asia U16 tournament, where Kai was tasked by Coach Mike Oliver to create more instead of just rebounding and blocking shots. That was only step one. The next step was during Kai’s time with the Blue Eaglets in the offseason. In preseason tournaments, Everyone saw more of Kai creating for the rest of his team, whether it be from the high post or even when dribbling the basketball. It was tantalizing to look at, exciting even. It was new, but it held plenty of promise. Being next in line can be both a blessing a curse. Kai could have chosen not to be patient and force the issue. Or he could have folded under the pressure of the expectation of being the “next big thing.” Thankfully for the Blue Eaglets, neither has happened with Kai. He’s embraced the new role of being the centerpiece of an offense with authority, and then some. He’s looked utterly dominant in the low post, with even the best of big men unable to slow him down. This wasn’t just his 7’2″ frame doing work. There was also polished skill, that quality he needed to make the jump from great to unstoppable. From Rookie of the Year, to Mythical Five member, and now, Most Valuable Player. When Kai was declared as the upcoming awardee for the Season 81 MVP, it was inevitable. Obvious. No doubt. It’s understandable why others would feel that way. But sprinkled in the highlights we see on YouTube and the games televised on national television was struggle. It’s not always eat Samgyup with any day of the week with his friends easy for Kai. Even the most transcendent of talents have to wait their turn, all for the sake of getting that delicious grilled meat or in this case, the MVP. It doesn’t stop there for Kai. One serving of grilled Samgyupsal won’t satisfy his craving for things that are far greater. “Ganun pa rin, marami pa rin,” he said when asked about what else he wants to improve on. Maybe he can start here; he ranked second in the league in terms turnovers per game. “If not for some of his turnovers, he’d average more assists,” said coach Varilla with a laugh. If you’d tell Kai to go back in line because of his mistakes, he wouldn’t think twice. It’s being in that line that’s gotten him to where he is now. MVP. Center piece of a top two team in the UAAP. Top High School player in the country. Sooner or later, he will get titles or names that are only dreams now, but will eventually become real. Even if that means having to wait in line.